Published May 23, 2011 by Peachpit Press. Part of the Learn by Video series. 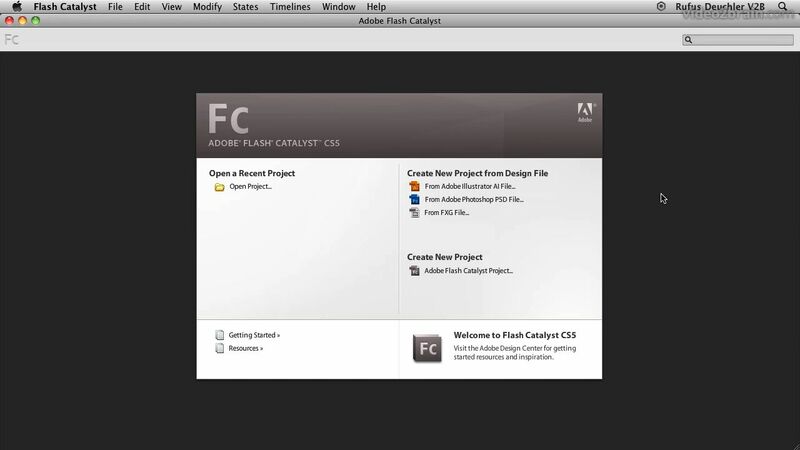 This complete training program from Adobe Press and video2brain combines over 6 hours of exceptional video training with a full-color 120-page guide to teach you the fundamentals of Adobe Flash Catalyst CS5 as well as the basic principles of creating rich interactive applications. After helping you how master the program’s interface, expert trainers Rufus Deuchler and Kevin Ruse will show you how to use essential tools to add more advanced interactive elements to your projects and fine-tune your code. among many other essential skills. The lessons are wrapped in a feature-rich interface that lets you jump to any topic and bookmark individual sections for later review. Full-Screen mode provides a hi-def, immersive experience, and Watch-and-Work mode shrinks the video into a small window so you can play the videos alongside your application. As with all titles in the Learn by Video series, the project files used in the lessons are included with the course. FREE Adobe Creative Suite 5.5 updates are available for this title. Simply register your product at www.peachpit.com/register and you will receive the updates when they become available.